I wanted to start a feature that I could include weekly (or try to anyway). Back in October, I had intended to start a tutorial feature each week, but that didn't last long because time became a real issue. So I wanted the feature to be manageable. Something that I could do days or even weeks ahead of time. Finally, the idea of including a weekly post highlighting the good, the bad, and the ugly of my past layouts finally came to mind. 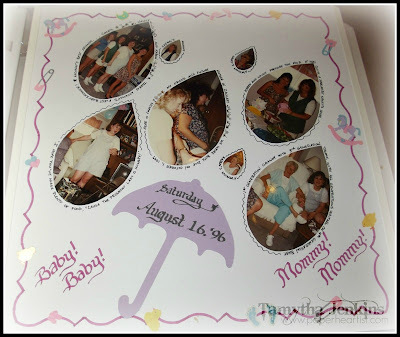 I thought it would be fun to remember those old techniques and tools that many of us have probably used at some point in our scrapbooking. At the time, they were probably the "in" thing, but now we look back and think to ourself, "What was I thinking?" However, it won't be all about the bad and ugly, but sometimes it will also be just about past layouts that I still like, or "remember when" layouts that feature a product that was once a "hot" thing. I want this feature to be a fun look back and I encourage you to feel free to comment on your thoughts and memories. I remember the first time I saw this patterned paper at a local rubber stamping store. I was soooo excited. Finding patterned paper was next to impossible, at least here. Notice the "heavenly" theme? I created these fish shapes by hand too. For some reason I thought an ocean theme was appropriate for a baby's bath. LOL I'm definitely having a "What was I thinking?" moment. So now it's your turn. Are you guilty of the crime of photocide? Thanks Katy. Yep! Definitely CM. That was how I discovered scrapbooking. It's all we had available to us for years. So when I wondered into a rubber stamp store for the first time and saw that they had some patterned papers (very small selection), I was over-the-moon excited. Your pages look familiar! Good to know that I don't have the only pages with "shaped" photo's and white backgrounds filled with hand written journaling and lots of stickers! Ha, Ha! 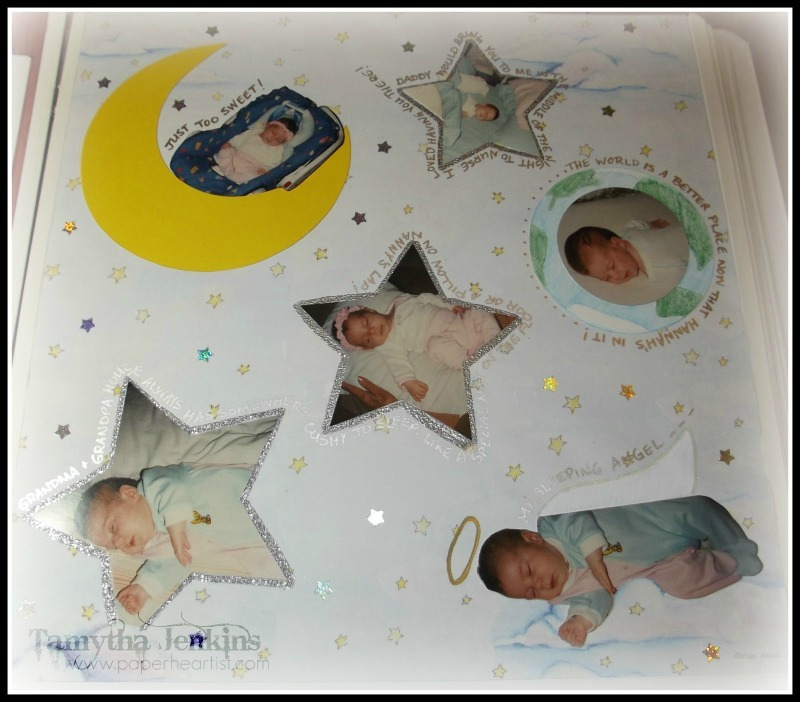 Creative Memories was my jumping off point as well, thank goodness for Jeanette and CTMH! What a great idea Tamytha! This will be a fun flashback journey.